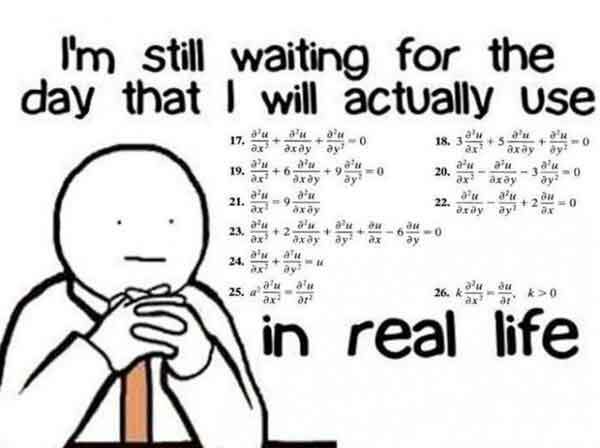 We’ve all heard our students ask the question, “When will I ever use this in the real world?” And honestly, it’s a great question–one that we should all spend more time thinking about. Research shows that relevant learning means effective learning, and that alone should be enough to get us rethinking our lesson plans. The old drill-and-kill method is neurologically useless, as it turns out. Relevant, meaningful activities that both engage students emotionally and connect with what they already know are what help build neural connections and long-term memory storage. “Long lists of vocabulary words that don’t have personal relevance or don’t resonate with a topic about which the student has been engaged are likely to be blocked by the brain’s affective (or emotional) filters,” writes neurologist and former educator Judy Willis. Students need a personal connection to the material, whether that’s through engaging them emotionally or connecting the new information with previously acquired knowledge. Without that, students may not only disengage and quickly forget, but they may also lose the motivation to try. In other words, Bernard explains, if a student doesn’t believe a particular activity is interesting, relevant, or within the scope of his capabilities, it’s probably not going to sink in. Another article interviewed 36 undergraduate students about aspects of the teaching and learning environment which motivated or demotivated their study. It was found that students were motivated by a teaching environment characterised by eight main elements. This article reports in detail on the element of establishing relevance, as this seemed very important to the interviewees. The interviewees found that teaching abstract theory alone was demotivating. Relevance could be established through showing how theory can be applied in practice, establishing relevance to local cases, relating material to everyday applications, or finding applications in current newsworthy issues. Without relevance, important concepts may seen unnecessary. So how can we make learning more relevant, exactly? Below are a few ideas to help you get started. But relevance is a difficult concept to examine. It is mentioned in the education literature, but usually as an aside and seldom with an explanation as to its nature or structure. In an informal survey of the six educational psychology books in Roberson’s personal library, only one mentioned relevance but did not define it. This aligns relatively well with the theory of relevance found in the related area of cognitive science. Wilson and Sperber (2004) put forth this theory in the mid-80s which posits: utterances raise expectations of relevance not because speakers are expected to obey a Co-operative Principle and maxims or some other specifically communicative convention, but because the search for relevance is a basic feature of human cognition, which communicators may exploit. Simply put, when a teacher provides relevance for a student, the teacher conveys his or her intentions to the student by tapping into that student’s cognitive need to make sense of the world. So, no matter how disinteresting content may seem, once students have determined that the content is worth knowing, it will hold their attention and engage them. In a 2008 article published in Active Learning in Higher Education Kember et al found that one of the most important means of motivating student learning was to establish relevance. The authors interviewed students from 9 undergraduate programs at 3 different universities in Hong Kong, to charaterise the teaching and learning environments that best motivated student learning. Establishing relevance was the most prominent and often cited student response. 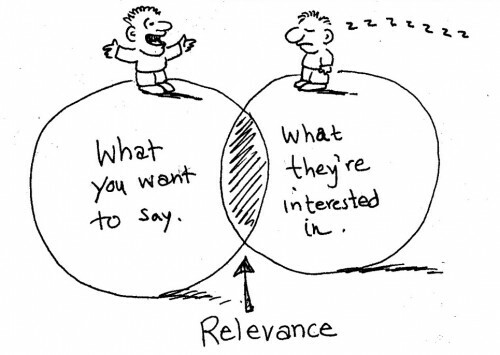 Relevance is a key component to intrinsically motivating student learning. By establishing both personal and real-world relevance, students are provided with an important opportunity to relate the course subject matter to the world around them, and to assimilate it in accordance with their previously held assumptions and beliefs. Relevance is a key factor in providing a learning context in which students construct their own understanding of the course material. Discussing and finding applications in current newsworthy issues and events. Likewise, Wieman (2007) recommended that students be provided with intentional and explicit opportunities to discuss, for each topic covered, why this topic is worth learning, how it operates in the real world, why it makes sense, and how it connects to things the student already knows. 1. Use suspense and keep it fresh. 3. Connect it to their lives and what they already know. “Taking the time to brainstorm about what students already know and would like to learn about a topic helps them to create goals — and helps teachers see the best points of departure for new ideas. Making cross-curricular connections also helps solidify those neural loops. Utility value answers the question, “Yeah, but what am I gonna use this for?” Utility value is purely academic and emphasises the importance that content has for the students’ future goals–both short-term and long-term. For example, physics tends to be less than fascinating to your average student, but for a student who wants to be an engineer, physics is interesting and can also hold great utility value. Utility value provides relevance first by piquing students telling them the content is important to their future goals; it then continues by showing or explaining how the content fits into their plans for the future. This helps students realise the content is not just interesting but also worth knowing. Relatedness, on the other hand, answers the question, “What this have to do with me?” It is an inherent need students have to feel close to the significant people in their lives, including teachers. Relatedness is seen by many as having non-academic and academic sides. The non-academic side of relatedness emphasises the relationship the instructor has with students: students need to feel close to their teachers and are more likely to listen to, learn from, and identify with the ones they like. Students come to value what a likeable instructor says, seeing it as something worth learning because the instructor sees it as something worth knowing. This is why genuine enthusiasm expressed during instruction is important; it shows students how important the content is to the instructor. Helping support this relationship is the academic side of relatedness that emphasises helping students see how current learning relates to their own knowledge and experience and their future learning. Students recognise how much effort it can take to provide relevance, and they see the effort expended on them as care. Students often respond to this perceived care by caring about the teacher and what he or she teaches. Relatedness provides relevance to students first via the developing relationship between teacher and student. This piques students’ interest in what the teacher has to say. Relevance then helps students see that the content is worth knowing by showing how it fits into their current and future frame of reference. As instructors, one of the most important things we do is provide relevance for students. It gives them a context within which they can develop into engaged, motivated and self-regulated learners. Relatedness is important to students of all ages, while utility value tends to gain importance as students become older and choose courses that will help them choose or achieve their career goals. Relevance is exceptionally important to students who are required to take lessons they did not choose, such as general education courses. Relevance can help students realise how useful all knowledge can be. Fulfilling students’ need for relatedness, showing them how seemingly unrelated content fits together and then into their own scheme of things, and giving students real reasons why today’s content will be useful to them later on are all good ways to provide relevance for students. You can help them discover that what you teach is actually interesting and worth knowing.